Three decades after a humiliating military defeat in Afghanistan, Russia has returned to the scene. This adds Afghanistan to a long list of hotspots – from Syria and Libya to Venezuelaand Ukraine – where Moscow’s low-cost, high-impact foreign policy is challenging the West. In Afghanistan, the Kremlin is cover tly supporting the Taliban and other groups, and hosting regional talks with Pakistan, Iran and China. And whereas Moscow was strongly opposed to the Taliban throughout Afghanistan’s civil war in the 1990s, it seems a U-turn is underway. Afghan and US officials both claim that since 2015, Russia has been providing funding and arms to Taliban groups. A CNN report in July 2017 claimed Russian arms were being transferred to Taliban fighters. A report in the Times of London citing Taliban sources concluded that Russia was channelling funds to the Taliban via cross-border fuel trading. Russia has strongly denied the allegations, but admits diplomatic contacts with the Taliban, arguing that since they are both fighting the regional branch of the so-called Islamic State (IS) they have common interests. Officials in Moscow believe that whereas the Taliban is focused primarily on the domestic conflict inside Afghanistan, IS poses a transnational threat to Central Asian states and even to Russia itself. Thousands of Russian citizens have travelled to Syria to fight with IS or with other militant groups. They have been joined by fighters from Central Asia, many of them radicalised while working in Russia, and Central Asian citizens were directly involved in recent IS-linked terror attacks in Russia, Sweden, Turkey and the US. The Russian government’s thinking on the threat from IS sometimes hints at conspiracy theories, among them the notion that IS is an American project aimed at destabilising Russia. In June, Russia’s foreign ministry complained that “unidentified helicopters” were resupplying IS fighters, and implied that they were linked to US forces. 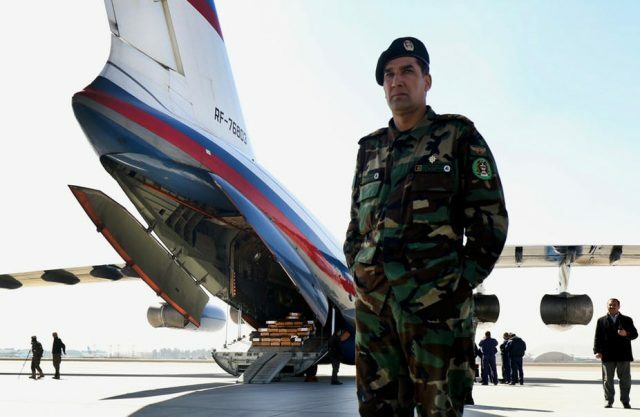 Zamir Kabulov, Russia’s experienced special envoy to Afghanistan, claimed in 2016 that IS fighters were not focused on the Afghan conflict, but “are being prepared for a war against Central Asia, against the interests of Russia”. What such claims make clear is that Russia’s policy is not just a response to security concerns, but is part of a wider geopolitical strategy. For a relatively limited investment, Afghanistan offers an ideal opportunity for Russia to make headway in its geopolitical competition with the West. Russian officials suggest that US bases in Afghanistan are part of a plan to dominate the region and threaten Russia through Central Asia. But Afghanistan is also seen as a weak spot in the US’s regional strategy, where American forces and funding are struggling to prop up a weak central government against a growing insurgency. An active Afghan policy also helps extend Russia’s role in Central Asia and win back lost influence in Soviet republics such as Turkmenistan and Uzbekistan. The region’s secular dictatorships are nervous about any spillover of violence from Afghanistan, and when they’re under threat, they tend to look towards Moscow for support. A role in the Afghan endgame also gives Moscow increased leverage in its relationship with China. Russia wants to ensure it is not marginalised by China’s Belt and Road Initiative. Its best hope to maintain influence is to make itself the dominant security and diplomatic power across a broad region that it calls Greater Eurasia. In December 2016, Russia hosted talks in Moscow on Afghanistan with both Pakistan and China; two further rounds of talks in February and April 2017 were widened to include India, Iran, the Central Asian states, and the Afghan government. (The US refused to participate.) Russia has also revived the Shanghai Co-operation Organisation‘s “Contact Group” with Afghanistan, hosting a meeting of officials from the organisation’s member states in Moscow in October. These talks have yet to yield a single major breakthrough, but they provide a possible template for future regional efforts to address the conflict. The US, meanwhile, has failed to develop a viable regional policy platform around Afghanistan. The US-led Quadrilateral Contact Group, which resumed talks in Oman in October 2017 after more than a year’s hiatus, shows little sign of achieving any breakthrough. Russia’s dealings with the Taliban could yet backfire. Many rebels are unhappy at the prospect of close links with Moscow, while the weakness of Russia’s economy puts a limit on just how much influence it can wield abroad. But if Moscow can keep up its current strategy of on-the-ground engagement coupled with regional diplomacy, it is sure to have a role in the endgame. Has Uzbekistan’s repressive government helped radicalise its emigrants and exiles?